EM-82-05A is acceleration sensor based on MEMS technology. 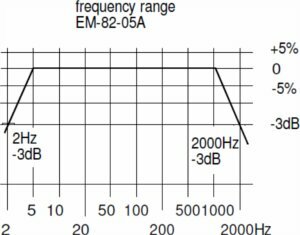 The advantages of MEMS technology are good long term stability, shock resistance, stability and linear frequency response. Additionally thermal and time stability features are superior. The body of sensor is a aluminium, the sensor is molded to body with chemical aluminium. The housing class is IP67.